In the decades in which I have been a nonprofit/business board member or consultant, I fortunately have only been in the mire of a crisis situation twice. In both cases, the board was totally unprepared to take appropriate actions to minimize the turmoil that followed. Discussions with management: Each year the board and management should take about an hour to review how each defines a crisis. Example: Does the threat by a terminated employee to sue for unlawful termination portend a crisis? 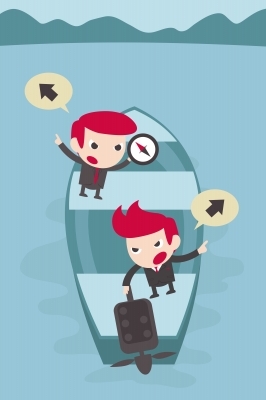 A post-meeting summary of the discussion needs to be circulated so that all concerned are on the same page in defining a crisis or a red flag indicating that a crisis might be brewing. With nonprofit director term limits, the rosters of nonprofit boards members are continually changing. The summary can help new board members to understand how the board and management define a crisis and what corrective actions need to be employed. More currently, how the board and management should respond to a cyber attack should be well understood in advance of any crisis. Communications: This can be a big problem in a nonprofit crisis when outsiders who seek information and opinions want to talk to the senior executive. Confusion can develop when a volunteer board member holds the position of “president” and the senior employed operational person’s title is “executive director,” a position not necessarily well understood outside of the nonprofit environment. *** Every nonprofit, as part of a crisis plan, should have a single, person designated as crisis spokesperson. Otherwise, well meaning but uninformed board members can assume the role and add more confusion. Social media can be helpful or a hindrance during a crisis. The board will need to be certain that someone competent is monitoring social media messaging and responding. Maintaining Operations: While much attention of the board and management centers on the crisis, the service or product operations of the nonprofit must continue. It may be desirable to plan to appoint a veteran senior manager to keep ongoing operations moving. Donations and revenues will still be the lifeblood during and after the crisis. The board and senior management will still have final responsibility for making certain that an operation has the resources and support required. Post Mortem: After the crisis has passed, there will be organizational relief. However, the management and the board need to review the case in detail as a learning project to prepare for the next crisis. 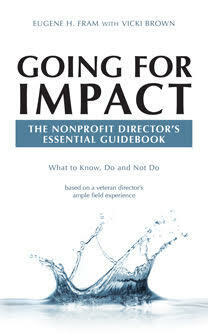 The greater the learning the better the nonprofit is prepared to be more effective and efficient the next time! **This is a true story with a happy ending. When the reporter first heard about the checks written to the ED, he questioned one board member about it. The reply was, “You have to trust your management.” No action was taken.The reporter then retrieved a copy of one of the checks and called for a meeting with the board chair, ED and CFO before printing the story. The ED was endorsing the checks to the charity, but surprisingly was unaware that this action raised a question of dishonesty. Knowing what might happen to the agency’s reputation if the story were published, he dropped it, thereby acting in an ethical manner.